There could be over 150 billion planets in our galaxy alone, which makes the chances of life on other words look very solid indeed. But there's one snag: the universe's most common stars might not support life at all. The problem is down to axial tilt. Relative to its orbital plane around the Sun, the Earth doesn't rotate at a perfect perpendicular angle. Instead, it's tilted about 23.5 degrees, and the way that Earth orientates itself around this tilt is the main driver of the seasons. In turn, the presence of seasons helps keep Earth's climate at a moderate level, neither too hot nor too cold for the evolution of complex life. If Earth was on a perpendicular tilt to the Sun, the planet wouldn't experience seasons, and the planet's climate could quickly spiral out of control. On the other hand, terrestrial planets around Sun-like stars fare much better. These worlds should not see their axial tilts erode to dangerously low levels until many billions of years down the road, well after life has arisen and possibly evolved into technological civilizations. 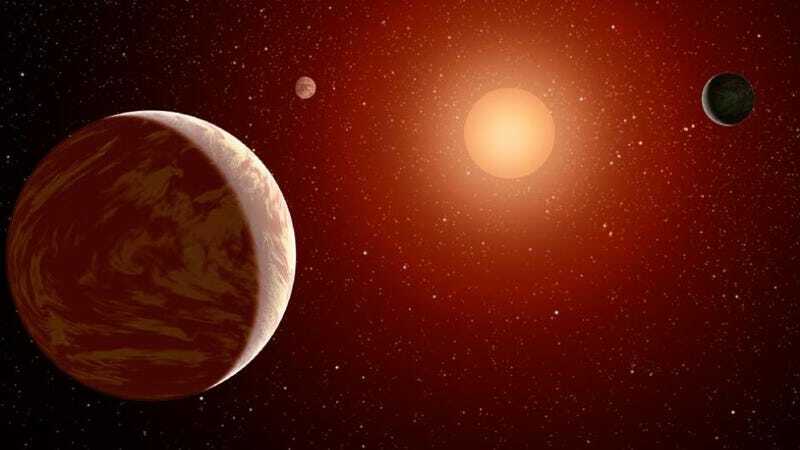 A planetary abode representing this scenario is Kepler 22-b, the first near-Earth-sized world discovered in a habitable zone by NASA's planet-hunting Kepler space telescope. While this doesn't affect the recent estimate that the Milky Way has over 160 billion planets, it does potentially restrict in a major way which planets could feasibly support life. For the complete story, check out Astrobiology Magazine.